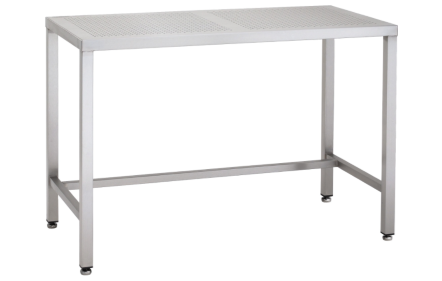 Envirosafe Ireland offer a wide range of stainless steel tables and workstations to suit every task. 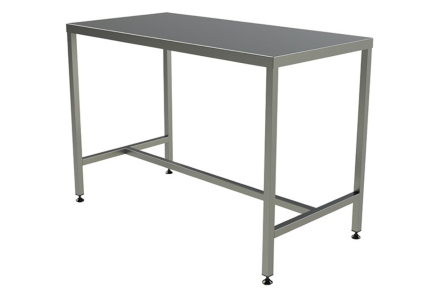 Our tables and workstations are made of fully welded 304 grade stainless steel, and have a brushed dull polish finish. To eliminate any possibility of cross contamination, our stainless steel furniture and equipment are non particle shedding. standard tables support up to 250 kg and come equip with non marking rubber based adjustable feet or if you want portability, rubber wheels. These tables can be customised to suit individual needs. 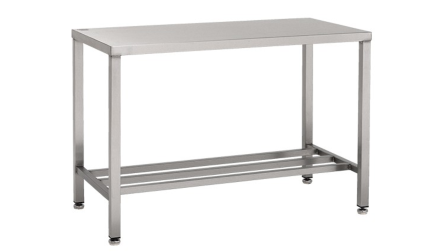 These light duty tables hold up to 150 kg – fabricated from 304-grade stainless steel, with a fully welded frame. 4 adjustable rubber feet or wheels to get the perfect height. These table can be customised to suit individual needs. 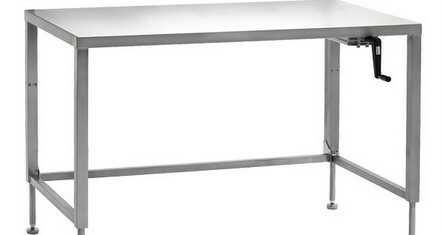 Dust and other contaminants don’t hang around on the perforated top 304-grade stainless steel table. Perfect for controlled airflow environments. 4 adjustable rubber feet for the perfect height. These tables can be customised to suit individual needs. Adjust the height up to 300 mm for sitting or standing and reduce fatigue. 4 adjustable rubber feet. These tables can be customised to suit individual needs. 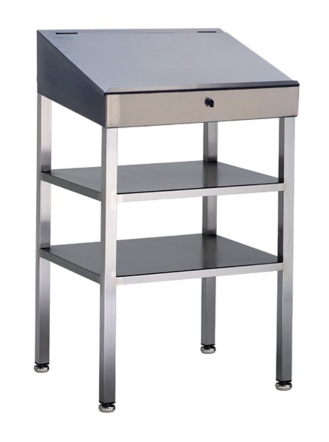 Wall mounted or freestanding, with storage or easy to fold away, these lecterns are perfect for any environment. These tables can be customised to suit individual needs. 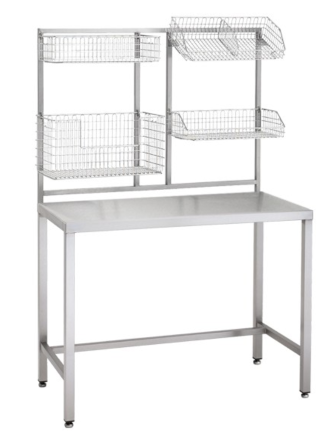 Baskets, shelves, choose what to add to the Modular Workstation and create the perfect one for your needs. These tables can be customised to suit individual needs.